Remembered for his bravery, leadership quality and fearless attitude; Sardar Vallabhbhai Patel continues to be an icon of inspiration to millions of people worldwide. Sardar Patel National Museum showcases a priceless collection of cherished memorabilia associated with Sardar Vallabhbhai Patel. 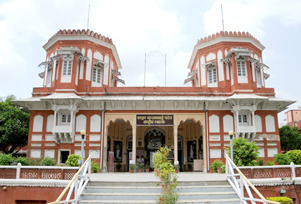 Located in Ahmedabad, the Sardar Patel National Museum is one of the most famous museums of Gujarat, exhibiting more than 10,000 specimens of art and craft. The Sardar Patel National Museum is more than a place; it is an experience that allows visitors to follow the footprints of the Iron man of India. In the year 1978, the doors of Sardar Patel National Museum were open for public. Later in the year 2013, the infrastructure of the museum was enhanced with the latest technology for a more interactive experience. Currently, the museum is known as the best art museum of Gujarat that houses Sardar Patel's belongings, his life-size portrait with family and friends. Extracts from his journals and correspondence are exhibited in the museum alongside personal objects and artworks. The building of the museum is as spectacular as its exhibits. It is also known as Motishahi Mahal because it was built for the Shah Jahan in 1622. Later, the building was seized by Britons for cantonment office to house the senior officers. In 1947 when India attained independence, the building was designated as the official residence of the Governor of Gujarat. 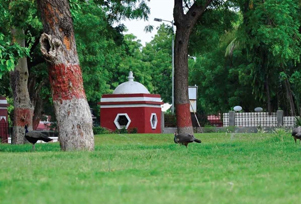 In 1978, Motishahi Mahal was transformed into a national memorial dedicated to Sardar Vallabhbhai Patel. The building has once inhabited the famous poet, Rabindranath Tagore. In the museum exteriors, there is a lush green garden with beautiful water bodies attracting animals like monkey and peacocks. Museum is equipped with state-of-the-art facilities like multimedia halls, LCD displays, jail zone, multi-touch tablets, etc. In the multimedia center, one can see documentaries that seek to tell the life-story of Sardar Patel in three different languages. The highlight of the museum is its 3D sound, light and laser show that narrates the story of Inda. For those who are interested in knowing the history of India should attend the 3D show, which takes place on the grounds of the museum. The show is a blend of the latest in technology with 3D building mapping projection techniques, laser projection, sound and light effects. Timing: 10:00 AM to 1:15 PM & 2:45 PM to 6:00 PM, Closed on Wednesday, 2nd and 4th Saturday and all public holidays.